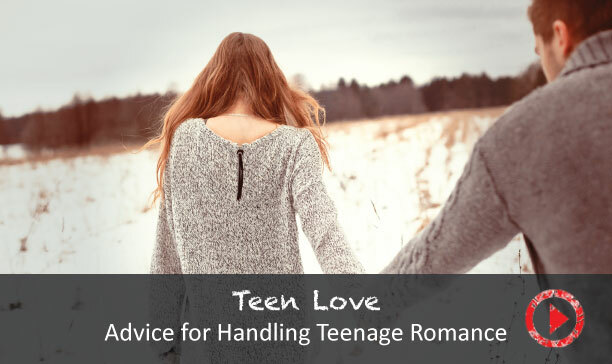 Teenage romance is a very difficult question for parents. As a father, I would prefer my kids not date until they're 30-years-old, but the reality is they are going to, and forbidding it doesn't really get you anywhere. All it does is prevent ... or put up barriers between your child. So what we do is to have as much communication as possible with the kids. We ask them who they are with, what they are doing, where they are going. And we encourage them to bring their friends around the house so we can meet them and learn about them. If there's things in the relationship that we don't think are healthy for them, we discuss what we think is a problem, we discuss with them what we believe is essential to a healthy relationship, and we hope they find the answers for themselves. We can't tell them what to do, but we can make suggestions. And on a good relationship, we are much more encouraging, we invite their friends over with us for family functions and for dinners. If we're not in agreement with the relationship that we don't approve, then we're not as inviting, we're not as open and we let them know that we don't support the relationship, but we hope that they make the best decisions for them.